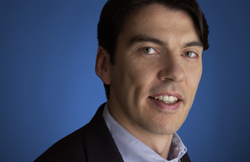 A couple days ago at the Web 2.0 Summit, AOL CEO Tim Armstrong caused a little bit of a stir when he hinted that AOL is working on a “secret” technology project. When pressed for details on what exactly it is, he was vague. But after fishing around with our sources, we have a pretty good idea. The secret project is a new content-management system (CMS) which will make it easier to produce and publish Web content across AOL’s sites and perhaps beyond. It will also help AOL scale up the number of contributors who write articles and produce videos for its numerous media sites well beyond the thousands who are working for it today. TA: We have some secret sauce that I can’t announce. But we’ve been working on something for 3 months that’s a big tech shift. I can talk about it later. JB: Wait, tell me more. What tech? TA: It’s a broader platform with more information about content, and around content. I can’t give you a better answer. We’ve gone from 500 journalists to over 3,000. We’re going to keep growing. Our content is 80% our own, we’re going to keep going. It’s all about taking content management serious. There’s an opportunity there. Armstrong’s maniacal focus right now is on increasing the amount of content AOL spews out. In addition to its main Website, AOL operates more than 75 independent topic-specific sites and blogs in its MediaGlow business run by Bill Wilson. All told, AOL already employs a growing staff of journalists (3,000 to date). The new CMS system will allow AOL to accelerate along that path, and bring in even more writers from the outside. Built into the system is a way to include content from freelance writers and pay them based on the views and ads shown on the pages they write. It’s like a fancy blogging platform with all sorts of tracking and ad-monetization built in. Demand Media has something like this called Demand Studios which is paying out $17 million a year to writers, editors, and video producers. In addition to furnishing Demand Media’s sites with content, Demand Studios also farms out articles and videos to other sites. AOL could do the same thing and provide the ads as well. In addition to the content coming in from thousands, or even tens of thousands, of lowly-paid contributors, the CMS system might also be able to automatically generate related content on the fly. AOL is already experimenting with lightly-curated, automated topic pages on Love.com, which uses technology from its Relegence acquisition. What isn’t clear is whether AOL is building an entirely new CMS system from scratch, or integrating technologies from past acquisitions. All of AOL’s blogs (Engadget, TMZ, Autoblog) already run on the Blogsmith CMS that came with its Weblogs, Inc acquisition. The new CMS might very well be based on Blogsmith or at least be built by the same engineers. AOL’s non-blog sites run on a relatively new CMS called Dynapub. It would make sense to have one CMS for everything. Then there’s the contextual feeds from Relegence. And blog-link generator Sphere, now known as Surphace, may also play a role. Put them all together, and you’ve got cheap content galore.